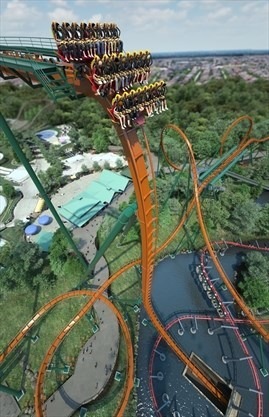 The world’s fastest, tallest and longest dive coaster at Canada’s Wonderland in Vaughan is in place. The last piece of roller-coaster track for the Yukon Striker was just installed following the start of the construction project in January. The project began with the excavation of the ride’s underwater tunnel and finished with installation of the last piece of track on the highly anticipated 360-degree loop.